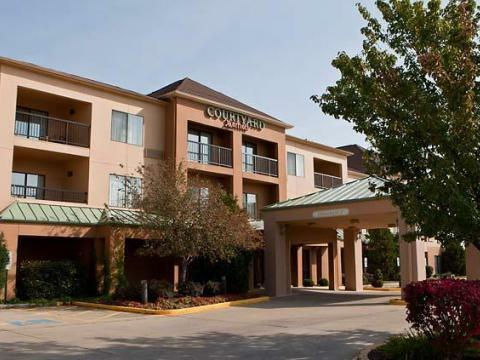 Beautiful 3 star Courtyard by Marriott Springfield includes an exclusive selection of suites and guestrooms and is sure to meet your expectations for glamour and comfort. It is placed in the modern neighborhood of city with several places of interest close by and several public parking lots, where you could keep your car. The satisfaction of our guests is our top priority so we feature elevator, non-smoking rooms, heating and air conditioning to make sure they don't miss anything. Whenever you need to you could quickly turn your guest room into your on-line work station and keep up your tasks using WiFi. Your guestroom provides cable channels, so you could catch up on the current news in the morning or watch an exciting movie in the evening. 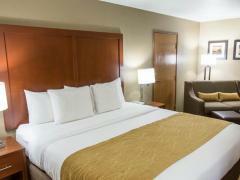 Take pleasure in city’s well-known sights from the windows of your queen room with two queen beds. Taking an extraordinary care of our guests’ great relaxation we feature comfortable 71-82 inches wide beds dressed with quality sheets. You would miss nothing in our well-appointed guest rooms that come with bathtub or shower and naturally a private bathroom. You will have anything you would require, like hairdryer, toilet and bathtub or shower, at your en suite bathroom. 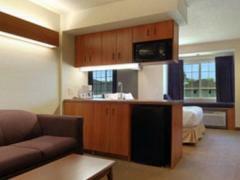 Guest rooms' area range from 250 and should be taken into account while searching for your ideal option. Walk to the Henson Robinson Zoo with your kids to enjoy a wonderful family day surrounded by magnificent animal life. 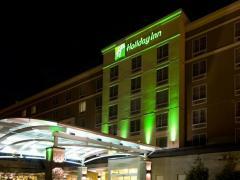 Why should you book Courtyard by Marriott Springfield? Extra Beds All children are welcome. Free! One child under 18 years stays free of charge when using existing beds. One older child or adult is charged USD 5 per night in an extra bed. Free! One child under 3 years stays free of charge in a crib. The maximum number of extra beds/cribs in a room is 1. Any type of extra bed or crib is upon request and needs to be confirmed by management. Additional fees are not calculated automatically in the total cost and will have to be paid for separately during your stay.